Our Sandy Neck Oysters are available seasonally, from early summer to mid-winter. They grow in the cooler waters of Barnstable Harbor in cages and bags off the ground, giving them a briny flavor and more delicate shell. Our Garrison Point oysters are available from January through late summer. 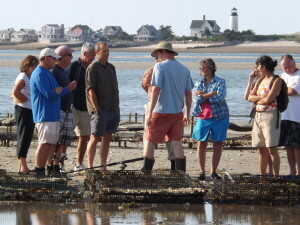 These oysters, the same species as our Sandy Necks, are grown on the bottom in Osterville and mostly harvested by dragging them off the bottom. Being in contact with the bottom gives them a thicker shell and a bit more mineral flavor. Oysters are a healthy, sustainable protein, full of vitamins and minerals. Our oysters grow throughout the warmer months, but are generally 3-3 .5″ inches, although larger ones are available and delicious grilled with garlic butter. We offer raw bars for functions like weddings, parties and business events. We can do events for as little as 20 people to several hundred. 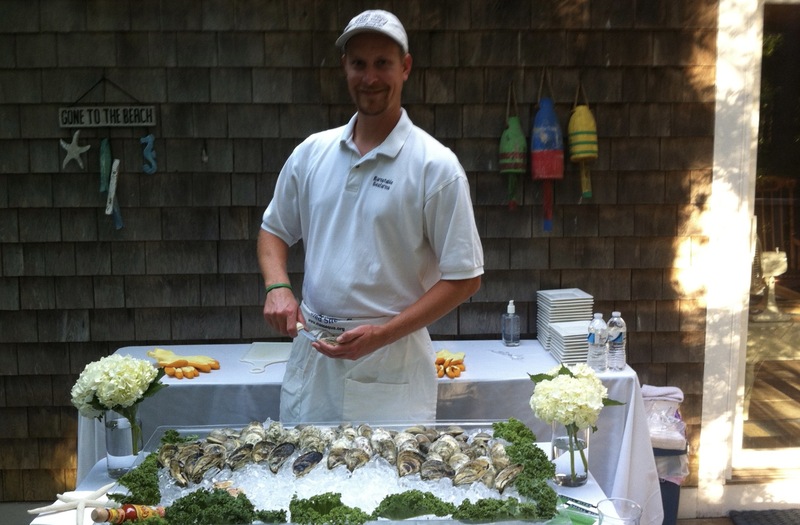 All of our raw bars include setting up, condiments, shucking and clean-up afterwards. 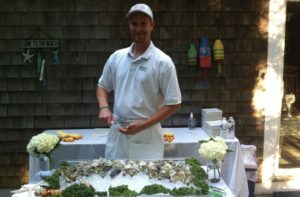 We have done events from Truro to Boston and on the beach at Sandy Neck. Please contact us for details and pricing.